LBE Unlimited Mil-Spec Buffer Tube Kit with 6 position capability with a mil-spec diameter retractable stock. 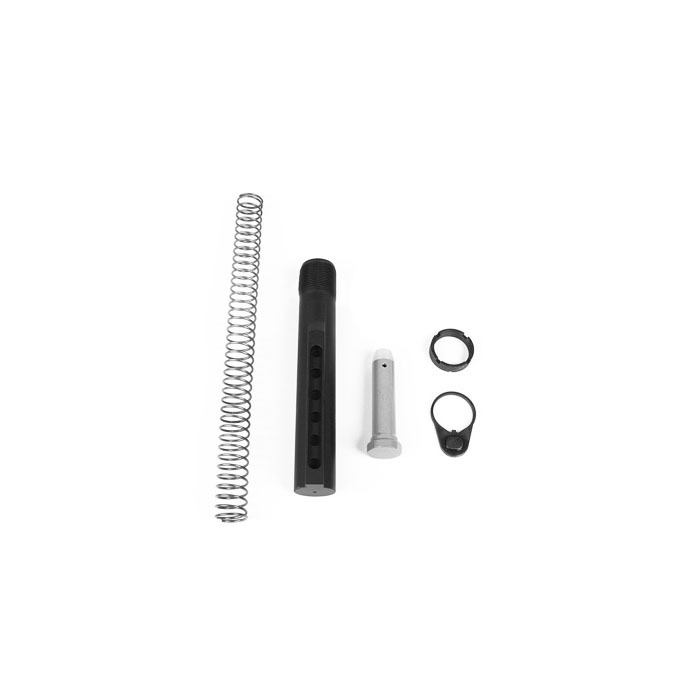 This kit includes the Mil-Spec buffer tube, castle nut, lock plate, recoil buffer, and recoil spring. Made in the USA! I purchased this for a lower build. The fit and finish was perfect. There were no issues with installation. I would purchase again. Top Gun Supply has excellent customer service.